These ornaments are both beautiful and functional. They can be opened and small gifts, messages, or prayers can be put inside. Each is adorned with a charm representing the day. A perfect way to celebrate the Christmas holiday. I've also included the generally accepted meaning of each day as thought of by the Catholic Churh. There is an ongoing debate as to the reason for the creation of the song which I found interesting to research. This is NOT a beginners book, you should know how to do the Peyote Stitch before you try these. NOTE: Charms have been replaced with 8mm Firepolish Crystal in Ruby and Emerald Green. The charms used in this design have been discontinued and I can no longer get them. 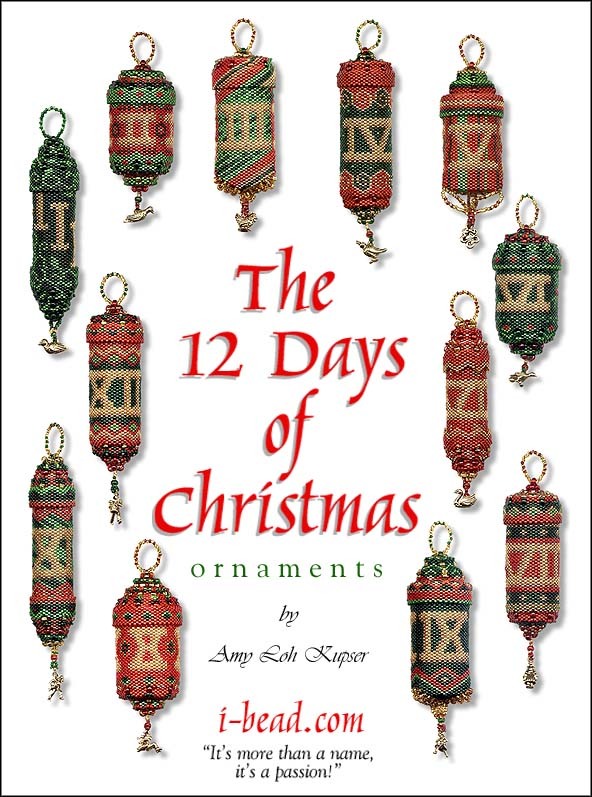 There is another set out there a little larger, search for "12 Days of Christmas Pewter Charms". 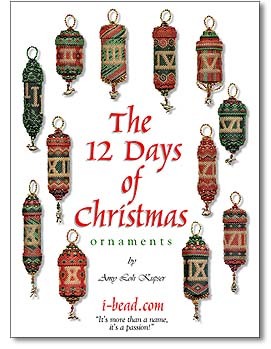 INCLUDES: Pattern Book, Delicas and accent beads. INCLUDES: Delicas and accent beads and NO BOOK. 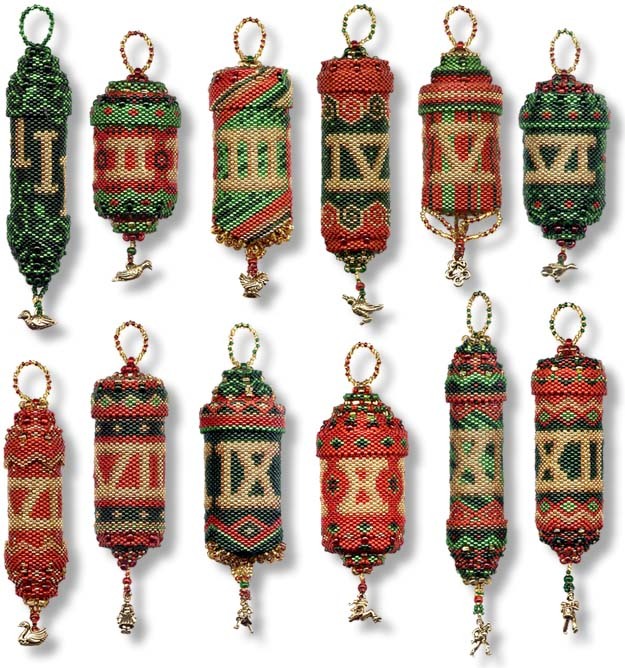 Kits do NOT include needle and thread since most beaders already have them. If you need them you can order them on the supplies page. NOTE: The gold charms have been discontinued. Replaced with 8mm Fire Polish Crystals in Emerald (4), Ruby (4) and Light Topaz (4).